Small Batch Brewing: Lab-grade Yeast Pitching Rate: Part 1, What is Pitch Rate? Pitching rate is an important factor in the brewing process. Although not the only variable in clean fermentation, pitching rate plays a key role in lag-time, attenuation, and yeast-derived flavor production. From the brewing literature, “rule-of-thumb” pitching rates are tailored for harvested and re-pitched yeast on the commercial scale. However, when using lab-grown, propagated yeast cultures, often sold in liquid form to homebrewing consumers, these pitching rates are less clear and can be better qualified for small batch brewers. In this series of Small Batch Brewing, I attempt to provide clarity on pitching rates for lab-grade yeast. In particular, I hope to answer this important question: What is a good pitch rate for healthy, lab-grown yeast when pitched directly into wort without a starter? In Part 1 (this post), I provide a short introduction to pitching rate, lab-grade yeast cultures, and their effect on fermentation. In Part 2 (later post), I review the literature and yeast manufacturers guidelines, narrowing in on a good pitch rate for lab-grown yeast. In Parts 3 and 4 (much later posts), I explore the considerations of these pitching rates for small batch brewing; in particular, brewers looking to direct pitch liquid, lab-grade cultures. As always, cheers, and happy brewing! Simply stated, pitching rate is the ratio of total yeast cells added to wort relative to the given volume and gravity of wort. Pitching rate is often useful in determining how many viable cells are needed for an appropriate fermentation of a particular batch and/or style of beer, much like IBU is a useful gauge for determining how much hops are needed to obtain a certain level of bitterness. Pitch rate can be defined either volumetrically (cells/ml) or more preferably, by gravity density (cell/ml/° Plato), which tailors yeast count to both volume and starting gravity for a particular beer. For example, a 5 gallon (19L) batch starting at an O.G. 1.048 (~12 ° Plato) using a common ale pitching rate of 0.75 million cell/ml/° Plato results in a pitch total of ~170 billion yeast cells. As a general trend (but not an absolute rule), more yeast cells are needed for higher gravity beers and colder pitching temperatures. Indeed, a high gravity, cold pitched doppelbock needs greater than 4 times as many yeast cells compared to the average gravity ale calculated above. What is good pitching rate for beer? This is a question which will be answered (soon) in a future post. Why is pitching rate important? Many fermentation characteristics can be directly controlled via pitching rate, chiefly lag-time, attenuation, and yeast-derived ester production. In general, higher pitching rates will have a shorter lag-time, cleaner fermentation, and lower attenuation; however, this is not exclusive to all yeast strains and beer recipes. Shorter lag-time is always desired as the greater yeast pitch will be able to out compete any contamination in the beer, reducing the chance of infection. However, don’t be fooled into thinking high pitch rates are the solution to fantastic beer. Beer fermentation benefits from a “dialled-in” approach to pitching. Either too little or too large a pitch rate can result in poor quality fermentation. 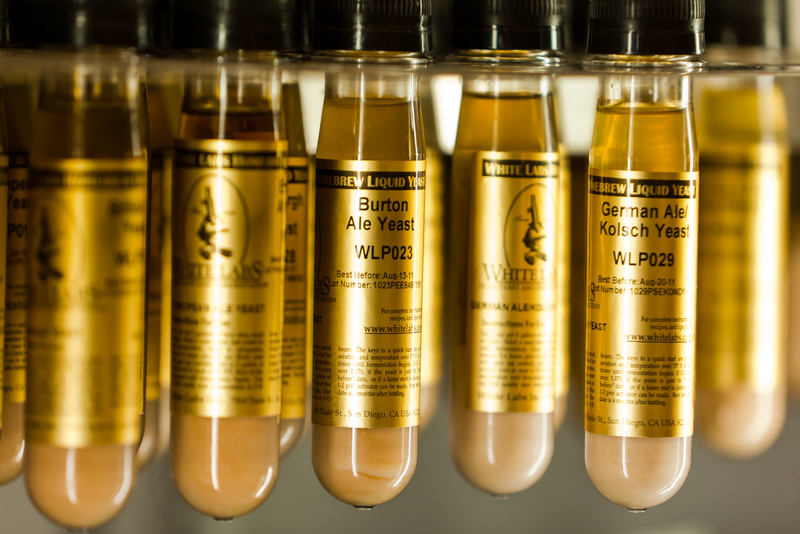 When pitching too little, several fermentation flaws can happen such as heightened ester production as a result of high yeast growth, off-flavors from stressed yeast, and poor attenuation from tired yeast cells. When pitching too much, further fermentation flaws include yeasty off-flavors due lysing of cells, too little ester production due to low growth, and poor mouthfeel. For this reason, brewers are motivated to establish a reliable pitching rate for consistent, quality fermentation as well as a good starting point in recipe design. Further tailoring of pitching rate (either increasing or decreasing) off a standard within a specific recipe may produce more desirable fermentation. Rinsed yeast from previous batch. These have less viability when compared to lab-grown cultures. Lab-grade yeast are high-quality yeast cells grown using optimized all-malt media in sterile conditions. 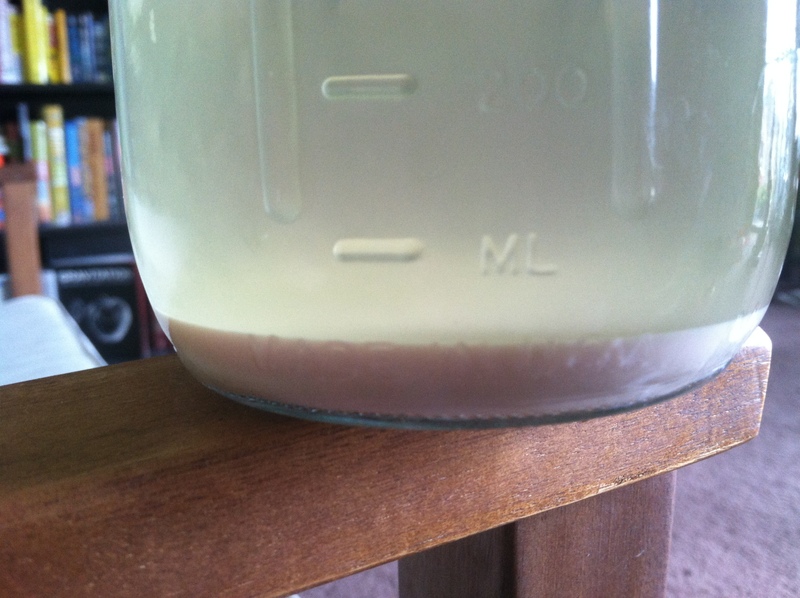 Both White Labs and Wyeast use growth-based techniques to create yeast cells full of energy and nutrients for healthy, productive fermentation and high viability. Also, sterile conditions of growth and packaging produce yeast cultures at a purity less than one contaminant cell per milliliter of liquid yeast. As such, lab-grade yeast have a greatly extended viability over time with 75-85% cell viability after one month, which is a significant improvement when compared to the ~50% viability of harvested yeast under the same time and conditions. Such effort in the production of lab-grown yeast produces strong cells, and as a result, capable of direct pitching into wort with great results when used in proper quantities. In the next part of the lab-grade pitching rate series, I attempt to identify the proper pitching rate for lab-grown yeast cultures. What are your thoughts on pitching rates of lab-grown yeast? Leave your brewing experiences in the comment section below. Cheers, and happy brewing! You can follow The Apartment Homebrewer on Facebook and Twitter via the links below! Cheers!